It covers 160m to 70cm and is basically a signal source with a frequency counter and a SWR meter. This makes it simple to look at the SWR of an antenna over any range of interest. Previously I’ve had to do this by stepping through the frequencies of interest with my UVB5 handheld on the low power setting, then for each frequency, calibrate my Revex SWR meter and read the result from an analogue scale. This is potentially harmful to the radio, and potentially interfering with other users. I live many miles from my nearest licensed amateur, and I checked for any passes of satellites with 2m uplinks each time, so the risk is small, but still, I liked the idea of the analyser that only uses a fraction of the power to make it’s measurements. I excitedly hooked it up to a Chinese dual-bander (Nagoya NL-77BH) I had on a little mag base. Here is the plot I made painstakingly in Excel. So far so good. That’s the sort of curves I was expecting, I was a bit concerned that the usable portions of the 2m band were 132-135MHz and 150-155MHz, since I was sort of hoping to use it in the FM portion I’m licensed for 145-148MHz. However, before this whip is condemned, I haven’t trimmed it (it came with the Allen key to allow for this) and I was measuring it on a 3” magnetic base, sitting on the coffee table inside my steel frame house – not exactly the ideal installation conditions. A better set-up would be mounted on an SO-239 mount installed in a hole the centre of my ute roof and carefully grounded. With this in mind, I tried a variety of other situations. 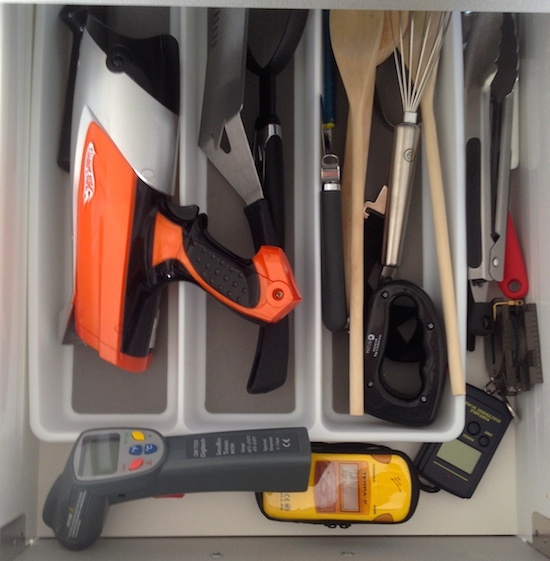 It’s a piece of cake to do – I could just walk around with the antenna connected to the analyser and read off the SWR. The frequency displayed does drift quite quickly, so each time I moved it, I spent a few seconds carefully adjusting the oscillator frequency. I chose 147.000MHz as my frequency of interest, In practice because of the finicky-ness of the frequency adjustment, and the speed of the drift, the measurements were probably about +- 20 kHz. So – interesting. I was expecting on the large (about 5”) magnetic base on the ute roof, parked a couple of wavelengths from anything to be quite usable, but no. Also interesting was the difference in the readings at the centre of my wooden dining table to the end of the table My guess is the extra meter of coax laid out perpendicularly is helping as a counterpoise. Also that’s the sort of positive effect I was expecting from the baking tray as well. Possibly, baking trays need to be earthed to the coax braid for permanent dining room table installations of dual-band whips, that’s my recommendation anyway. Of course, another possibility is the meter is lying. I was half-hoping that it would have a big frequency error so that plot would move to the left and the antenna under test would turn out to have a solid 5MHz usable right in the 2m band. I used to do a little work with radio in a previous work life and have some basic test equipment, including a portable frequency counter so I dug it out. I’ve never had it professionally calibrated, but have tested it against several commercial radios over the years and always found it agreed with the claimed frequencies within a few hertz on the slow gates. With the antenna still on the end of the dining table, I took a number of readings. On average the frequency counter was reading 45 kHz higher than the AW07A. That’s a significant error, but one I feel I can live with, and not enough to make my plot look good. Another possible error is in the SWR readings. I own an old Revex W560 Power & SWR meter, so with the same antenna position, I hooked up the Baofeng to that, calibrated it on 147 MHz and tried to read the SWR to see if it matched the 1:1.3 being reported by my new analyser. For some reason, I couldn’t get a reading, and I actually checked the instructions to ensure I was doing everything correctly, until I realised the meter wasn’t moving when I was looking at the SWR because it was 1:1! Putting the baking tray back to mess it up soon established this was the case. So now I had two devices telling me different things, with a SWR difference from 1:3 to 1:1. This is not a big deal in practical terms, but if this is across the scale it is considerable (for example the difference between 1:1.5 and 1:1.8 is important. However, this doesn’t really tell me which one is wrong. I have faith in the Revex, but it’s just faith, not science! There isn’t much I could do without visiting another amateur with better gear (rare in these parts). 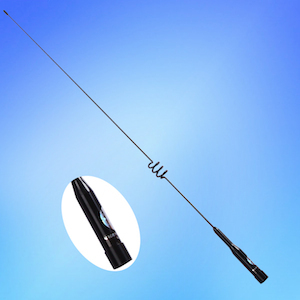 I briefly considered constructing a perfect reference antenna for 147 MHz, and may still do that in the future (in conjunction with visiting another amateur with good test gear). I do have a 30W dummy load, so I thought that was worth looking at. 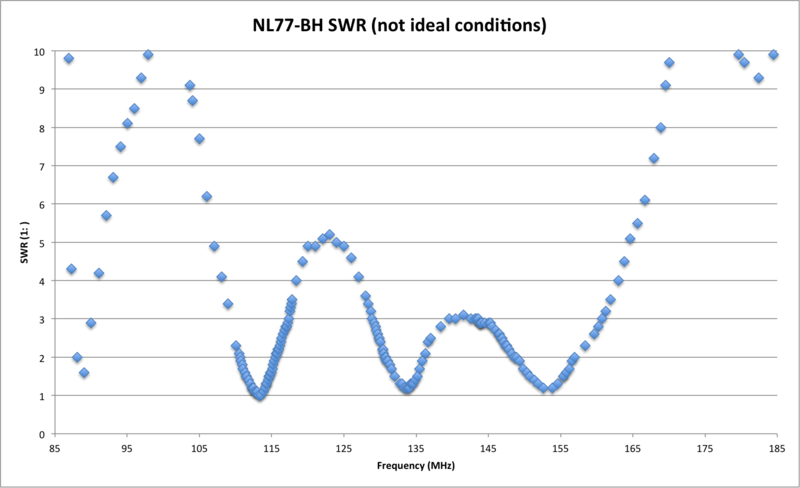 The Revex reports it as 1:1 at 147 MHz, whereas the AW07A claims it has a 1:1.2 SWR. It’s not looking good for the AW07A. So now I have a difficult decision. I can send the new meter back, and save my money for a better quality one (perhaps a MFJ-269C or Comet CA-500). The problem is both of those are so expensive I feel I can’t justify them. You can get much cheaper analysers that only cover the HF bands, but I expect that most of my fiddling will be a VHF & UHF. Another possibility would be to home brew one. 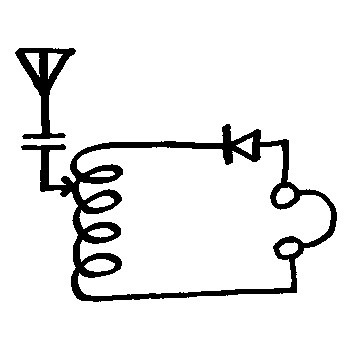 I was listening to an old Solder Smoke this morning, and Bill Meara was discussing a DDS chip – the AD9805 I think, that can easily be controlled by an Ardunio and could therefore easily be put into service as a frequency generator. The schematic for my Revex does not look too complex so it should be possible to put together something better than I could afford to buy. This also opens up the tantalising idea of being able to data log plots like the one I made above by hand. My guess is inertia will cause me to hang on to the Feature Tech AW07A in the hope that I can somehow calibrate it’s results against some good gear and end up with a usable discount analyser. Posted on May 24, 2015 by I Bailey. This entry was tagged aw07a, test equipment, w560. Bookmark the permalink.